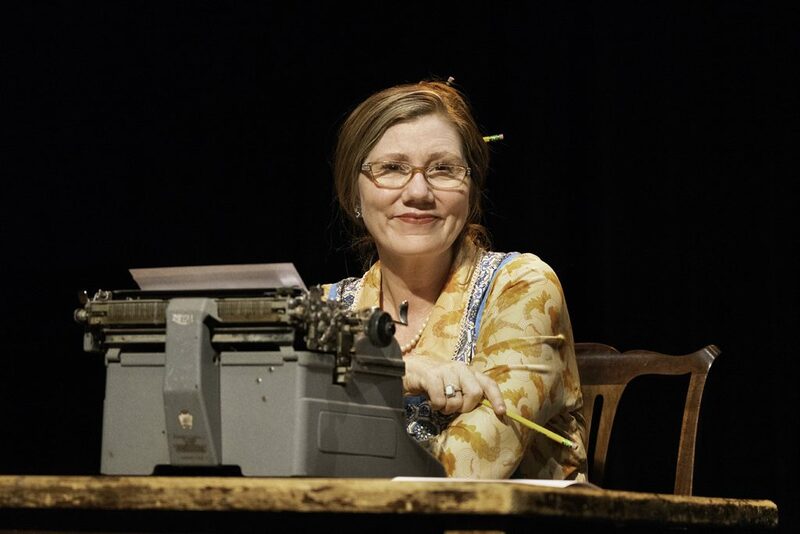 Sierra Stages Presents “You Can’t Take It With You” by Kaufman and Hart – Through October 6th! A Classic and Enduring American Comedy! 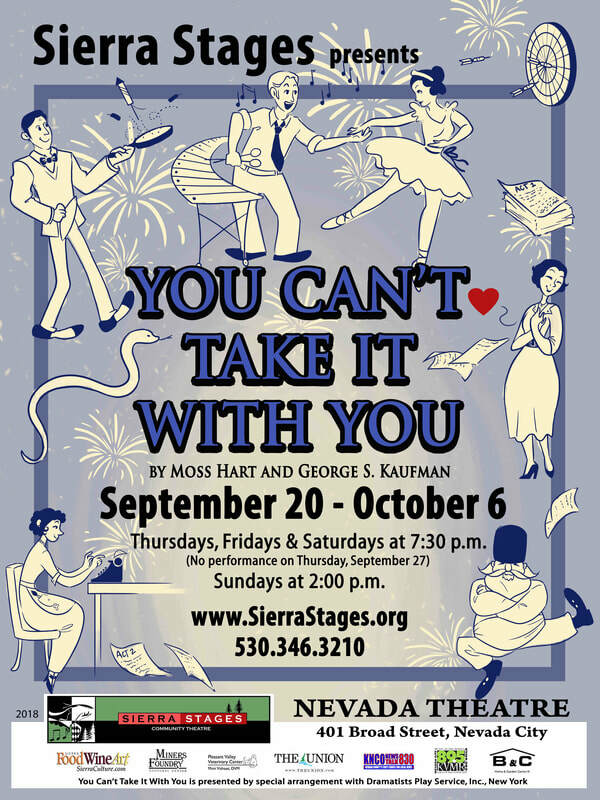 Sierra Stages completes its 10th Anniversary Season with the classic American comedy “You Can’t Take It With You” by Moss Hart and George S. Kaufman, playing for three weekends only from September 20 through October 6 at the historic Nevada Theatre in Nevada City. Since its Broadway debut in 1936, Kaufman & Hart’s Pulitzer Prize-winning “You Can’t Take It with You” has become one of the most popular plays in American history. A true classic, this hilarious screwball comedy unfurls under the bohemian roof of Grandpa Vanderhof’s creatively eccentric family – hopping with writers, painters, ballet dancers, xylophone players, caged snakes, a Russian duchess who lives to bake blintzes, and a basement full of firecrackers. When love blooms between Grandpa Vanderhof’s granddaughter and the son of an uptight, conservative Wall Street banker, the collision of their two worlds explodes into laughter! “You Can’t Take It With You” is directed by Scott Gilbert, who also designed the set. Lighting design and special effects are by Erin Beatie, and costume design is by Paulette Sand-Gilbert. The cast consists of both longtime Nevada County actors and several newcomers, and includes Trish Adair, Rebecca Allington, Louis Flint Ceci, Chase Coney, Audrey Delgado, Darrell Hovander, Tina Marie Kelley, Steve Lambert, Patrick Moore, Tony Muller, Tracie Nickle, Michele Fitzhugh Nesbit, Patrick Shannon, Melinda Thomas, and John Watson. 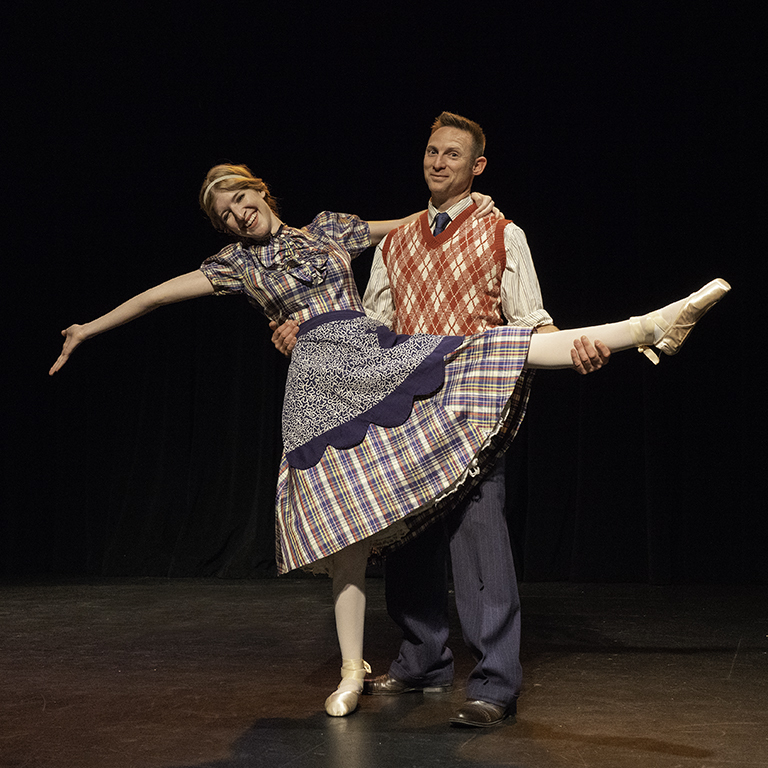 Performances of “You Can’t Take It With You” are Thursdays, Fridays and Saturdays at 7:30 PM and Sundays at 2:00 PM. (Note: There is no performance on Thursday, September 27.) All seating is reserved. For the first two “preview” performances on Thursday, September 20 and Friday, September 21, all tickets are $20 (seats in all rows). For all other performances, tickets are $35 (seats in rows A-H) and $25 (seats in rows J-O). Group rates are available for groups of 10 or more, and Student Rush (age 25 & under with a valid student ID) is $15 at the door (subject to availability) beginning 30 minutes before each performance. For tickets and information, visit www.SierraStages.org or call Sierra Stages at 530.346.3210. Also this fall, don’t miss the final two Theater by the Book play readings co-presented by Sierra Stages and the Miners Foundry Cultural Center. On Wednesday, October 17, Sandra Rockman directs “Marjorie Prime” by Jordan Harrison, and on Wednesday November 14, John Deaderick directs “God of Carnage” by Yasmina Reza. Theater by the Book play readings are free, with a $10 suggested donation at the door. Doors open at 7:00 PM, and readings begin at 7:30 PM. All readings take place at the Miners Foundry, 325 Spring Street, Nevada City. For more information, visit www.SierraStages.org or the www.minersfoundry.org. Sierra Stages is a nonprofit community theatre based in western Nevada County with a mission to provide quality productions that are affordable and accessible to everyone. 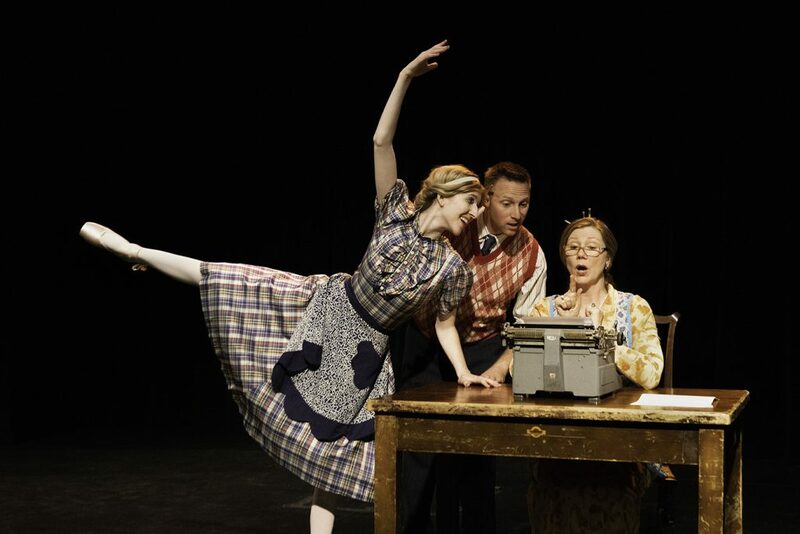 Since it began nine years ago, Sierra Stages has presented 33 plays and musicals and 30 informal play readings (as part of Theater by the Book co-presented with the Miners Foundry Cultural Center. For more information about Sierra Stages, visit www.SierraStages.org.